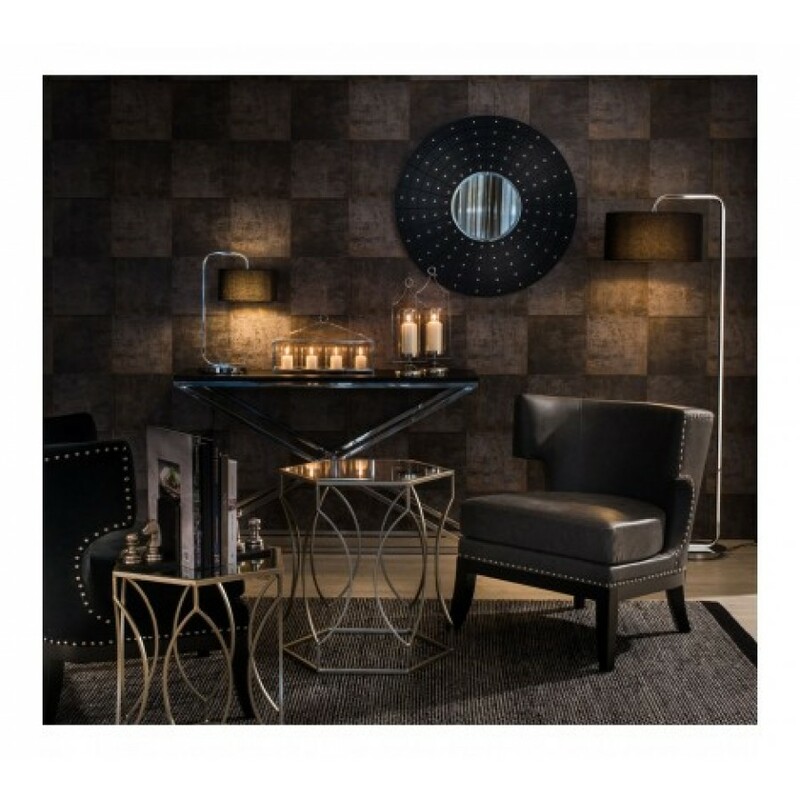 Contemporary in design, this floor lamp's slim metal stand consists of a single strip of metal which curves at both ends. At the bottom, the stand is grafted on to a chrome metal plate that sits atop a plinth. The lamp's shade is suspended from the top of the stand. 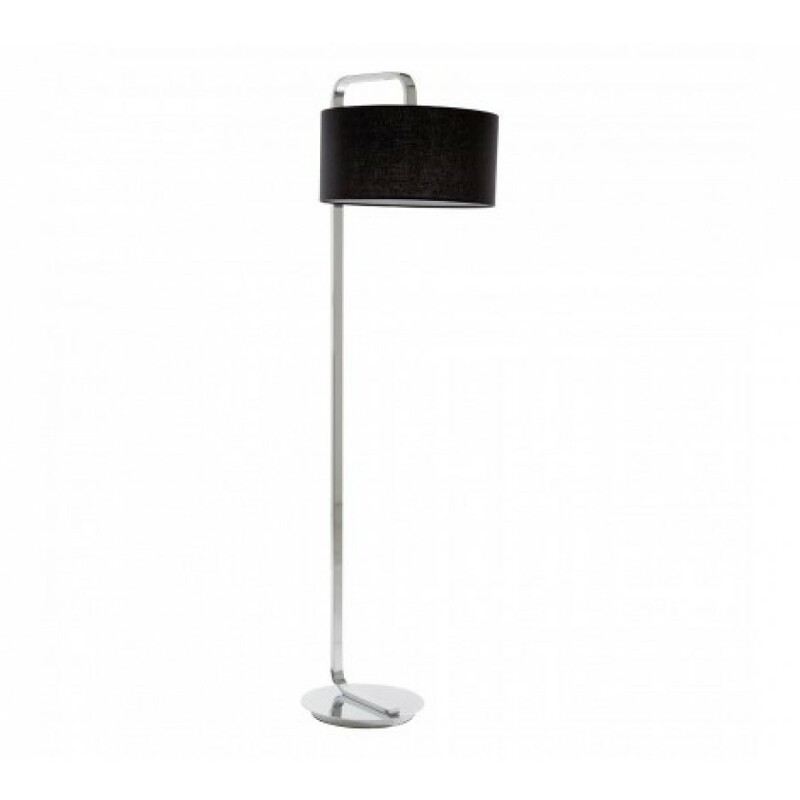 Made from black fabric, the shade combines with the reflective chrome stand to produce a monochrome effect.